Tim Berry on business planning, starting and growing your business, and having a life in the meantime. 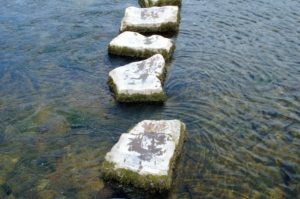 Question: What are the normal steps for angel investment? What’s involved in submitting a business plan? I decided to answer this question here because I see it so often in email and in question and answer sites on the web, especially Quora, which is where I first saw it and answered it. In the U.S. market the business plan generally stays in the background while investors look at summaries first, then pitches, and only eventually, after a lot of screening, if they are interested enough to do the detailed study called due diligence, then the business plan. 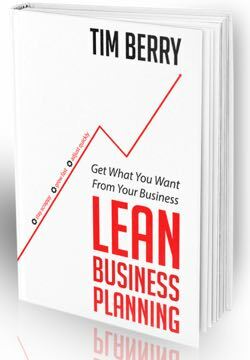 You want a bare-bones lean business plan to guide your summary and pitch deck. You need to know strategy, tactics, milestones, and essential projections. But investors screen startups based on summaries and pitches before they look at full business plans. Summary. That’s either summary memo, or profile on Startup Funding & Investing and AngelList, or similar. If and only if the summary is interesting, then the pitch. There is a lot more information on the business pitch here on bplans. And for more of my posts, on this blog, choose the business pitch category. If and only if the pitch is interesting, investors will want to see a full business plan for due diligence. However, this applies as general norm only, and in the U.S. market only. Generalizations are never always true. There are always exceptions. (note: this first appeared as my Quora answer to What are the steps involved in submitting a business plan? I'm chairman and founder of Palo Alto Software and Bplans.com (this site). Founder or co-founder of several others, ranging from successful to failure and in-between. I have more info at timberry.com. And you can find me on Wikipedia too. Use this link to contact me directly. I post on 8 different sites. All those posts are consolidated at blog.timberry.com, a Rebelmouse integration. Get focused, grow faster, and adjust to change. Every business owner deserves planning. But keep it lean. Click here to order the best business planning book ever. Most investor are using an outdated system to find investment opportunities. The banks and other lending facilities are losing they don’t look for trends. Now that crowdfunding gain the trust of the public it became harder to even get approve on their platform.